﻿	Lord Curzon Trail Kuari Pass Trek. 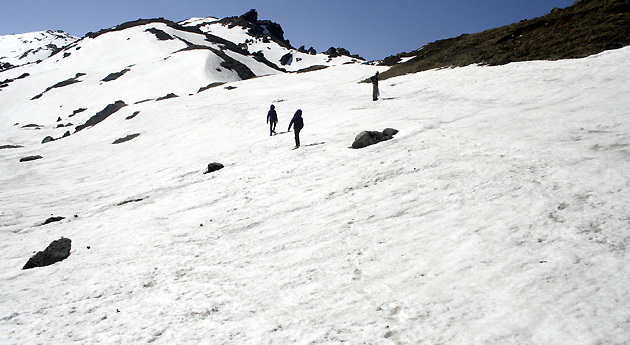 Kuari Pass ‘The Lord Curzon Trail’, is a 9-night and 10-day trekking package by India Pilgrim Tours. This route is quite popular amongst national and international trekking enthusiasts. It was in 1905 that Lord Curzon arrived at Kuari Pass and made the further trek and since then it is also called The Curzon trail. 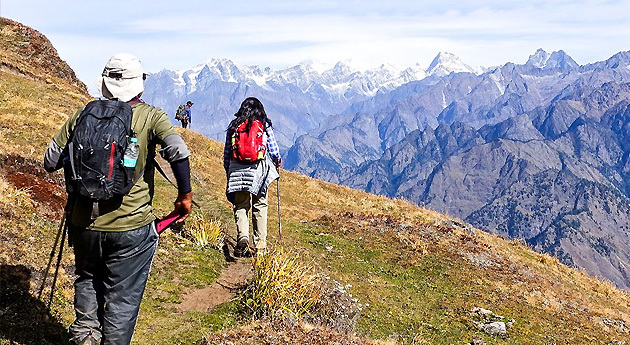 This trek is not only a trek with moderate difficulty levels but also offers you a chance to marvel at the beauty of the Garhwal Himalayan region. You cross pasture lands, meadows and forests, climb and trek along the stream sides. After you arrive at the Delhi Airport / Railway station, meet our IPT tour representative who helps with an assisted transfer to Rishikesh. Once you reach Rishikesh, complete the check- in formalities at the pre-booked hotel. After relaxing for some time, you are free to indulge in the activities of your interest. You can visit the city’s local attractions such as Ram Jhula, Laxman Jhula, the Ashrams, and attend the enchanting Aarti at the Ganga ghats. This holy town has been given several names such as ‘’The Gateway to the Garhwal Himalayas’ and ‘The Yoga Capital of India’. Dinner and overnight stay in Rishikesh. 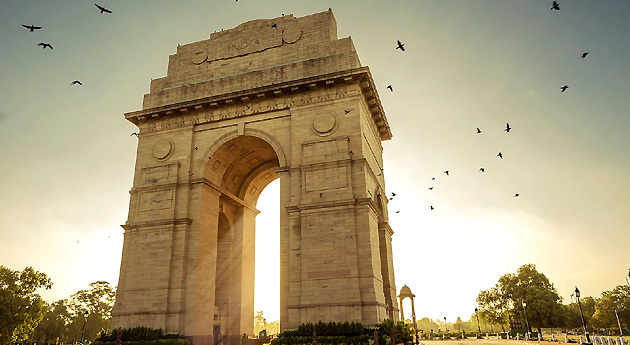 On the 2nd day of the tour, have an early breakfast, followed by on-road transfer to Ghat through Devprayag (Alaknanda and Bhagirathi rivers), Rudraprayag (Alaknanda and Mandakani rivers), Karnprayag (Rivers Alaknanda and Pindar) and Nandprayag (Alaknanda River and Nandakini River). The four are the most popular confluences of the Garhwal Himalayas. Ghat is a beautiful village of the region, known for its beauty. On reaching Ghat, set-up your camps for an overnight stay. Once you have your breakfast, board a typical Himalayan village that takes you to Selu Bagar. It is like a small point that consists of small shacks or village shops, which is also the starting point of the trek. This drive is about 30 minutes. At this point, you meet the porters and the ponies. The trek starts on this route of normal difficulty. On the way, you cross the village settlements of Ramni and Ghunni. This stretch is quite interesting where you can see the villagers indulged in their daily activities, beautiful Himalayan houses, and more. After you cross past some settlement groups, you trek takes you to an open plateau, right above Ghunni. This is where you set your tents for an overnight stay. Have your dinner and enjoy a good night’s sleep. It is essential that you have an early breakfast today and begin the trek early so that you can enjoy the long trekking of the day and also marvel at some of the most amazing views. The train takes you to the top of the ridge, above the Ghunni campsite. After you cross the ridge, you arrive at an open floral meadow that offers a mesmerizing view of the jewels of the Himalayas including Chaukahmba and Nandsa Gunti. You can also nice views of Ghunni and Ramni villages that are now down below. After spending some time here, start trekking again, crossing Rhododendron forests, and later, pasture grasslands where you can view some nomadic huts, cattle and sheep. From here the trail becomes difficult which finally again becomes mild. You arrive at an open meadow that allows you to have some great views of the Nanda Ghunti peak. Continue your trail and arrive at Vinayak Pass, marked by a small temple with a prayer flag. From this pass, marvel at the excellent views of the Himalayan peaks and a distant view of the Kuari pass. This is followed by a steep trek, passing through Sem Kharak and finally arriving Jhinjhi village. This is your site to set-up the camps. Dinner and overnight stay. On the 5th day, after breakfast, begin your trek. Enjoy the sounds and sights of the people of the Jhinjhi village. The trail from here is descending through the village, then the floor of the valley and you finally arrive at a suspension bridge, constructed over Birahi Ganga village. Cross the bridge that takes you to the valley’s right. Continue your trek through a zig-zag patch and then you arrive at the ridge offering you views of the nearby Himalayan settlements and the peaks. You pass across the beautiful Rhododendron forests that bring you to Kaliagad settlement in Pana village. Undertake a descending trek of around one kilometer and reach the campsite in the village. Dinner and night stay in the tents. After breakfast on day 6, start the trek, taking you above the camp site, passing Rhododendron forest, a few fall summits and finally arriving at the ridge. Continue your gradual trek that brings you to Sartoli meadow, a pasture land for the cattle and the sheep. From here, you also get a view of the Kurai Pass and begin a descending trek for a few kilometers. In the later part of the trek, you need to trek downwards along the side of the stream and then a very steep stretch crossing loose glacial remain. It is advisable that you use trekking poles here. Cross the side of the stream, after which a steep ascending train starts, taking you to the top of the ridge. Then trail further is also ascending, taking you one more side stream, under Dhakwani (3300 meters). Climb for around half an hour to the camp site. Arrive at your campsite, set-up your camp, enjoy a cup of tea and the beautiful surroundings. Dinner and night stay in the tents. Today, you get up early and start your trek so that you do not miss some great views at the pass. Climb through the forest till you cross the tree line. From here, you trek oases through the valley’s left, continuing with a number of switch backs right to the Kuari Pass (3800 meters). This pass offers you some very magnificent views of the snow-clad Himalayan peaks. Do not miss clicking photographs. After relaxing, continue a slightly ascending trek that brings you to a hump offering a nice view of Dronagiri peak. From here, you descend up to a point that takes you to the divergence point to Tali and Tapovan. You continue towards Tali, arriving at a ride that has a temple and prayer flags. Spend some time here, enjoying views of the Nanda Devi peak. You now cross the pasture lands, then a forest and finally arrive at your campsite in Tali. Dinner and overnight stay. Day 8 is an easier one. Post breakfast, undertake a slight trek across the mountain ridge, that later becomes narrow where you need to trek carefully till Gorson meadows. You are now completely surrounded by the Himalayas. Marvel at the dominating Nanda Devi peak. Crossing past Gorson meadow is a nice experience. After a few kilometers, you can now see Auli. Here you say goodbye to the porters and the ponies. From Auli, you get into a jeep to go to (2550 meters), which is placed at a distance of 13 km from here. Joshimath, also known as Jyotirmath, is not only a popular religious centre, but also a beautiful hill town. Check-in at your hotel, take good rest. Dinner and overnight stay in your pre-booked hotel. On the 9th day of the tour, have an early morning breakfast. Start driving towards Rishikesh. On the way, take a halt at Rudraprayag, the meeting point of rivers Alaknanda and Mandakini. En-route, also enjoy your lunch. Upon arriving in Rishikesh, complete the check-in formalities at your hotel. Whether you wish to simply relax in your room or enjoy a city tour, it is up to you. Dinner and overnight stay in Rishikesh hotel. On the last day of the tour, after breakfast, hit the road to Delhi. 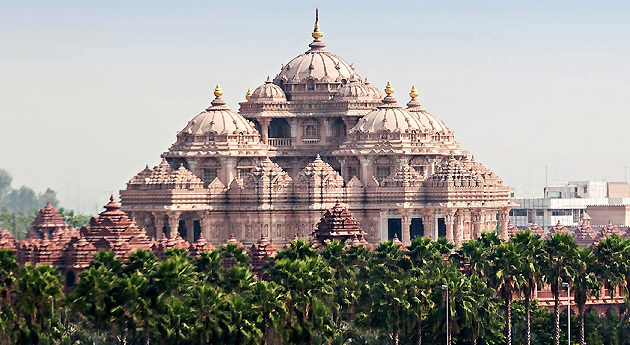 Get an assisted drop at the Delhi Airport or Railway station to board a flight or a train for your onward journey.